Season tickets, group tickets, or single game tickets can be ordered by calling 330-376-8188. Person’s 21 and older will need to show valid proof of ID in order to obtain alcoholic beverages at Racers games or any other events at Firestone Stadium. No alcohol will be served when the participants on the field are under age. Firestone Stadium welcomes service animals utilized by guests with disabilities. NO pets are allowed in the Stadium and/or on the Firestone Stadium property which includes the Pony Field and adjacent areas. Autographs are available 10 minutes after every home game by both teams. No obscene or inappropriate banners or signs will be permitted at Firestone Stadium. Celebrate your birthday in style with the Racers! Birthday packages with the Racers are a great way to celebrate a birthday! The Racers will take care of the whole party and a Racers player will even stop by to personally hang out with your party and wish the birthday girl or boy a special Happy Birthday! Call the Racers at 330-376-8188 to book your Birthday today! The Racers front office at Firestone Stadium is open M-F 9 am to 4 pm from September-March. From April-August, the Racers box office is typically open 9 am to 5 pm. Cameras with lenses longer than six inches will not be permitted inside the park for any events. No outside food or drink is allowed in Firestone Stadium. All ipads, laptops, cellular phones or other personal devices are permitted as long as they do not disturb fans seated around you. The use of cellular phones is permitted at Firestone Stadium, provided such use does not interfere with other guests enjoyment of the ball game. Please be courteous and refrain from making loud and lengthy calls in the seating areas. The Racers welcome comments and suggestions that may improve the overall fan experience. Learning from the people that matter most -- the fans, is always appreciated. There are three concession stands located on the main concourse level and are open for every Racers home game. The food and beverage rights are owned and operated by the Racers at Firestone Stadium. From Cleveland - Take Interstate 77 S toward Akron. Merge onto I-76 E and take exit 22A toward Main Street/Downtown. Merge onto W South Street, turn right onto S Main Street. Next, turn right onto W Firestone Blvd and take a left on Firestone Parkway. Stadium is located at 1575 Firestone Parkway. From Canton - Take I-77 N/US-62 E toward Akron. Exit at 123B Wilbeth Road. Turn left on Wilbeth and take that to Firestone Parkway. Stadium will be on your right at 1575 Firestone Parkway. From Columbus - Take I-71 N toward Cleveland and merge onto I-76 E/US-224 E toward Akron. Take exit 2 for Waterloo Rd. Turn left on Waterloo Rd. Take 1st left onto Manchester Rd and then a right on Wilbeth Rd. Turn left onto Firestone Parkway and the stadium is located at 1575 Firestone Parkway. From Pittsburgh - Take I-76 W toward Akron-Canton and keep right at the fork to follow signs for I-76W. Exit at 23A onto I-77 S toward Canton. Exit 123B at Wilbeth Road and turn right. Make a right onto Firestone Parkway and the stadium will be on your right. The Racers are located in the first base dugout. The visiting teams are located in the third base dugout. Fans are not permitted on the dugouts. The Racers are always looking for talented interns seeking to break into the sports business. Resumes can be submitted to jarrietta@racersfastpitch.com. Each fan is required to sit in their assigned seat. Ticketed seat exchanges can be made in advance of games (based upon availability). The Racers will perform no value exchanges on tickets for the 2013 season. For merchandise please call 330-376-8188. Akron's fastpitch fans have been loyal, knowledgeable and supportive of the professional game since 1999. The family restroom is located on the main concourse adjacent to the entrance to the stadium off the surface parking lot. Fan interference is prohibited at all National Pro Fastpitch events. Any fan acting obscene, running onto the field or interfering with players, staff or fans will be removed from the ballpark. For assistance with First Aid, please see any Racers staff member or uniformed security. You may seek assistance at the Fans-First booth, located at the entrance to the stadium nearest the main concession stand. On occasion, foul balls do enter into the stands. Fans are advised to always pay attention to the game so as to not get struck by a foul ball or any other object coming from the field of play. If a fan does catch a foul ball, they can keep it as a free souvenir. Gates open one hour before the start of the game. Early entry is available through one of our exciting group ticket experiences. The Racers merchandise garage is located down the left field line at Firestone Stadium. Merchandise can also be purchased online by clicking the shop tab at www.akronracers.org. 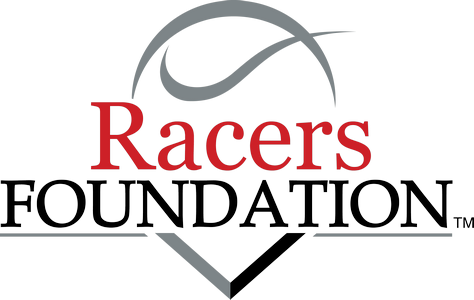 Special discounted rates are available to teams and fans through the Racers partnership with local hotels. Internships are available in the spring and summer. Checkout the employment section on this website for details or call Laura Wheeler at 330.376.8188. The co-owner and General Manager of the Racers is Joey Arrietta. Feel free to call her at 330.376.8188 with your suggestions or submit your comments by clicking the Contact Us tab on the navigation bar. On Sundays, kids can run the bases at Firestone Stadium. Contact a Racers ticket representative at 330.376.8188 for more information. Lost and Found is located at the Fans First booth outside the front gates of Firestone Stadium. To inquire about an item outside of game time, contact the Racers at 330.376.8188. Lost children should be taken to the Fans First booth on the main concourse. Please notify a Racers staff member to report a missing or found child to assist with locating a family member. Public address announcements will be utilized to assist with safely returning a child to their family ASAP. The Racers are not responsible or liable for lost or stolen tickets. Reprinted tickets are available for a small fee. The members of the Racers team conduct hourly private lessons through the summer while in town. Call 330.376.8188 or submit your request by clicking the Clinic hot button on the Racers home page. Wheelie (a Cheetah) is the official mascot of the Racers. He’s present at every home game and various other events. To book Wheelie for an event of your own, contact the Racers at 330.376.8188 or submit your request online by clicking on the In the Community tab under the Team section on this site. Mascot Mania is an annual tradition each summer. Wheelie invites all of his friends including Zippy and the various team and business mascots from all over town. It is one of the highlights of the summer for kids of all ages! The Racers are always searching for volunteers to perform the National Anthem at our home games! Performers are subject to review by our marketing and promotions department. Requests are accepted online via our In the Community tab located in the Team section; by fax at 330.376.8348; or by mail at Firestone Stadium, 1575 Firestone Parkway, Akron, OH or call us at 330.376.8188. If you have audio samples of your singing ability, please send a cd or a link to the sample performances for our review. The opportunity to conduct and play this game at this level is indeed a priviledge and an honor. Thank you for allowing us to continue playing this great game. Racers’ players are available for appearances and private clinics. To book a player(s) please contact the Racers front office at 330.376.8188 or by email at jarrietta@racersfastpitch.com. Quickness is a hallmark of the fastpitch game. Typically, a seven-inning game only lasts two hours. The NPF tries their hardest to always play the games, whether it’s delayed or moved to another day due to weather. In the event of a rain out, the game will be rescheduled for another day. Only if a rescheduling of the same event is not possible, will the Racers refund the face value of tickets. Occasionally Mother Nature steps in and causes a rain delay during NPF games. In the event of lightning or a rain delay, fans are encouraged to head under the stands to the concourse area to avoid rain and weather. After what is usually a short delay, play will resume. Once entering the gates and have your ticket scanned, fans can re-enter on the same ticket. Please keep your ticket stub available for re-entry. Re-sale and scalping of tickets on the grounds of Firestone Stadium is prohibited. This includes any areas associated with Firestone Stadium such as parking lots, front gate, sidewalks and grand stands. The Racers have been privileged with very talented players throughout the years. At this time, only three have earned the retirement of their numbers; Carla Brookbank-Schaal (4), Amy Kyler (24) and Crystl Bustos (6). While Ohio laws allow personal firearms, no firearms are permitted in Firestone Stadium under any circumstances. The NPF schedule is released every winter around February. To view an updated schedule, visit www.akronracers.org and click on the schedule tab. The Racers and Firestone Stadium officials reserve the right to search any bags or persons entering the ballpark. Smoking is prohibited inside Firestone Stadium. However, smokers may head to the front gate area for a place to smoke and dispose of their cigarettes. Souvenirs are located at the Racers merchandise garage in left field. Strollers are permitted in Firestone Stadium. Please be advised that there is limited isle space in the seated areas directly behind home plate and under the roof. The Racers generally hold tryouts each year around Memorial Day. Participants must be female, at least 21 years of age and must bring their own equipment. Equipment to bring includes: mitt, cleats/turfs, helmet, sliding pad, batting gloves, and bat. For more information on tryouts check www.akronracers.org. You, our fans, are the guests of the Racers at Firestone Stadium. We take great pride in treating our guests to the best entertainment we can provide. If there is anything we can do to make your visit to Firestone Stadium more enjoyable, please don't hesitate to contact a Stadium representative. Video recorders are not permitted inside Firestone Stadium. Water fountains are located near the restrooms of Firestone Stadium down the right field line and underneath the main concourse. The Racers mascot is actually a cheetah, the fastest animal! We are proud of the X-traordinary athletic ability of the players in the NPF. We are confident you will too! The award-winning mascot at The University of Akron, the alma mater of former Racers Tracee McCoy, Jana Jenkins, Kelli Metzger & GM, Joey Arrietta is Zippy, a kangaroo. A baby kangaroo is called a "Joey!"